A young woman reportedly fell off the outside of a moving pickup truck that was being driven down Reynolds Street by her boyfriend. The driver was later arrested and charged with obstruction of law enforcement and more criminal charges could be filed based on the outcome of an investigation, according to News4Jax.com. The young woman was discovered unconscious on Reynolds Street and was transported to a hospital. She was then transferred to UF Health in Jacksonville, Florida where she lost her life. A memorial wreath marks the spot where the young woman was thrown from the pickup truck. It was placed there by a business owner in Brunswick who hopes that surveillance video taken during the tragic accident can assist police with the investigation. Deepest condolences go out to the family of the victim. Losing someone you love is devastating, but the pain is exacerbated when the loss is sudden and the victim was so young with their whole life ahead of them. If you lost a loved one in a terrible accident that appears to have been caused by the recklessness of another driver, you should consider speaking to a Brunswick wrongful death lawyer about your legal options. Under Georgia law, only a limited number of individuals are legally entitled to file a wrongful death claim. If the decedent had a spouse, they can file a wrongful death lawsuit. If the decedent was not survived by a spouse but had children, then the children have the right to file a wrongful death lawsuit. If there is no spouse or children, the parents of the decedent may pursue a recovery under Georgia’s Wrongful Death Act. In a Georgia wrongful death lawsuit, a claimant can seek to recover the full value of the life of the decedent, according to O.C.G.A. § 51-4-1. This typically encompasses the loss of the decedent’s guidance, companionship, and all forms of support. In addition, you can pursue a recovery for the expenses related to the decedent’s funeral and burial. It may also be possible to pursue punitive damages, depending on the facts and circumstances of your case. 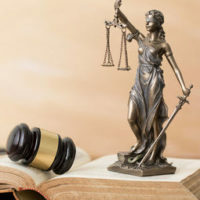 Every state, including Georgia, has enacted a statute of limitations that governs the time period during which a civil legal action can be filed. If the statute of limitations expires, it is a complete defense and your case can get thrown out of court. In Georgia, the statute of limitations for a wrongful death lawsuit is two years from the date of your loved one’s death. At Gillette Law, P.A., our Georgia legal team fully appreciates and understands that there is no amount of money in the world to compensate you for the sudden loss of a loved one. Nevertheless, a financial recovery can assist in covering the expenses that you incurred as a result of your loved one’s death making it less stressful to pick up the pieces of your life as you grieve. To learn more about your legal options, contact our law firm today.